It’s becoming more and more difficult to schedule individual time with my kids. The days pass quickly, there are so many commitments, activities and group outings, that time alone with just them and I go to the waist-side. Well, lucky for me, I got to spend one-on-one time with my first born last week. My Sonny Boy is slowly transitioning into all things Dude. This means he’s also increasing his time with Dad and not me. As much as I’d like to say that this stabs my heart just so (it does a bit) I’m content in the fact that he wants to learn from and emulate his Father. What better man to copy than the man he was named after? It’s important that he learns proper life lessons from Dad, and I get to witness how a gentleman is created, one outing at a time. But, I’m not naive: I do know that his time with Mom is just as important when it comes to that development, so I took him to “work” with me. 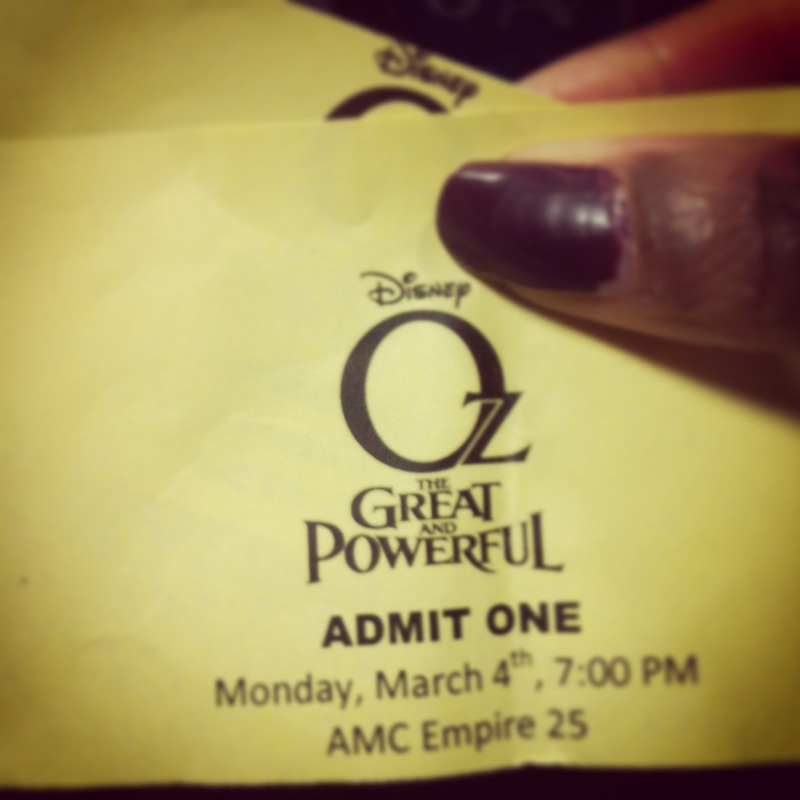 Last week, we got to see an advanced screening for Oz The Great and Powerful. 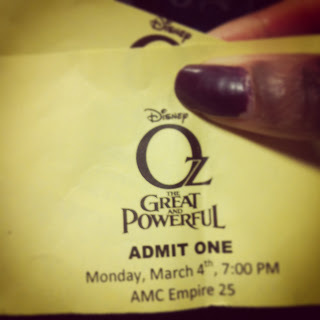 I was there to represent Lady and The Blog and write a review of the movie for the site. I made it a big time affair for him: I explained why we’d been invited, how important and completely cool this was, and that this would be our special time together. He was mostly excited to get a quick trip into NYC to watch a movie on a school night. I used our 40 minute train ride into the city to quiz my son about his little life. What his new likes were, what’s been going on at school, which activities he’d like to do during spring break and so on. He, in turn, did the same. He learned more about what (and why) I write on 4 Hats and Frugal, why Mom gets invited to cool events, and why I’m glued to my computer so much. We ate bad-for-us food, giggled and gasped at the movie, and had a great walk back to the train station where we held hands like we did when he was itty-bitty. We were developing our friendship. It was magical and I can’t wait to do it again. Do you take your kids out on individual “dates”? What types of activities do you do?